Be the first to share your favorite memory, photo or story of Rev. William. This memorial page is dedicated for family, friends and future generations to celebrate the life of their loved one. Rev. William Otto Johnson, Jr, went home to Heaven on January 22, 2019. Born in Warren Ark, August 13, 1936, to the late William Otto Johnson, Sr and Marie Johnson. He was a member of the 1955 Warren High School Football that went undefeated and state champions. He played half back and had the nick name “Auto” because if he made it to the corner no one could catch him. He served in the Air Force as a mechanic. He loved to hunt and fish. When he was 35 he made the greatest decision to accept the Lord and shortly after decided to become a minister. He had to go back to college and get a degree. It was hard and a struggle to get a degree after being out of school for almost twenty years. He served as a pastor for numerous Southern Methodist Churchs in South Carolina. He enjoyed working with and teaching the children at camp where he served as camp leader for many years. He married Shirley Nan Taylor (deceased) in 1959. 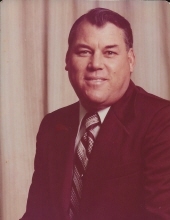 They had two sons, Brett Johnson, Sr (Kay) and Robert Johnson; grandchildren, Brett Johnson, Jr, Andrew Johnson, Lanez Johnson, Tanesha Johnson, Chad Johnson, Shellie Goodwin; and great grandchildren, Ciera Johnson, Kaitlyn Rider, Payton Goodwin, Maria Goodwin, Mallory Rider, Aaron Johnson, Camren and Canden Johnson, Jackson Rider, Ember Johnson, Tucker Johnson and Trenton Johnson. He is survived by his wife, Doris Price Johnson. He has two sisters, Jeanette Vallun of Pine Bluff, Ark and Mary Marie Tidwell of Arvin, California. He was preceded in death by his father and mother; sister, Louise Rice; and a spouse, Shirley Johnson. The family will receive friends from 6:00 – 8:00 P.M. Friday, January 25, at Milton Shealy Funeral Home. Funeral services will be held at 1:00 P.M. Saturday, January 26, at Clydes Chapel Southern Methodist Church with interment in the church cemetery with Rev. Gregg Williams and Rev. Frank McLellan officiating. Active pallbearers will be Brett Johnson, Sr, Robert Johnson, Brett Johnson, Jr, Andrew Johnson, Chad Johnson and Rob Popenhagen. Honorary pallbearers will be his great grandchildren. In lieu of flowers, memorials may be made to Camp Summers and Magnet, 203 McLendon Street, Lamar, SC 29069. The family would like to give a special thanks to Niece, Janet Popenhagen for all her help. To send flowers or a remembrance gift to the family of Rev. William Otto Johnson, Jr, please visit our Tribute Store. "Email Address" would like to share the life celebration of Rev. William Otto Johnson, Jr. Click on the "link" to go to share a favorite memory or leave a condolence message for the family.